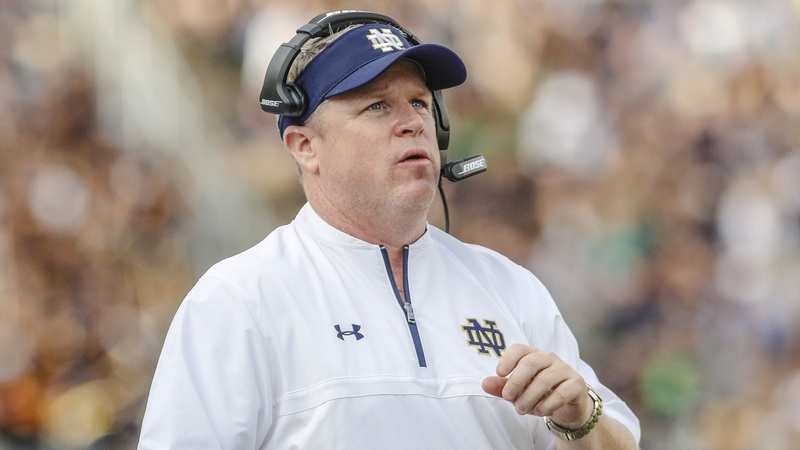 Brian Polian understands change is inevitable and when it comes to recruiting, the Notre Dame assistant has learned to embrace it. The most obvious change on Wednesday was the extremely low-key atmosphere. In the past, the first Wednesday of February represented the culmination of more than a year’s worth of work on the recruiting trail, but this year resulted in the Irish publicly adding just one prospect to their program. The other 21 members of Notre Dame’s 2019 recruiting class went public with their signings during December’s early period. The Irish recruiting coordinator said he believes the early period, in its second cycle, benefits the Irish. 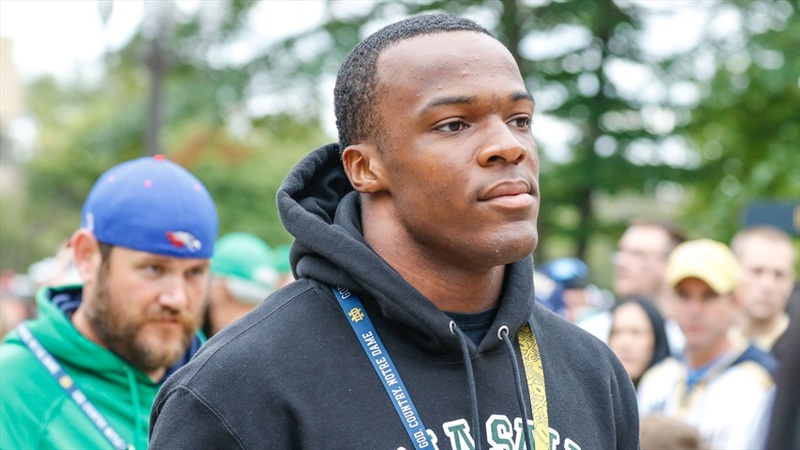 “The guys who want to be at Notre Dame, want to get it done,” he said. “We don’t have very many prospects who are going to take the thing all of the way out because they enjoy the recruiting process so much or like to be a part of the drama. With so much of the work complete before the holidays, the staff can use the time previously reserved for making sure it didn’t lose any commits, putting in work on top targets in future classes. More than a decade ago, Polian was a member of a previous Notre Dame staff when the program first began accepting early enrollees. Back then, the Irish never had more than a handful in a given year. Meanwhile, 10 of the 22 members of the current class are already on campus. Polian gave credit to head coach Brian Kelly, the entire coaching staff and the administration for helping those youngsters get acclimated as quickly as possible. It’s clear Polian is happy with the class as a whole, especially with what the Irish added in terms of length and speed. He understands the attention and excitement that come with winning high-profile recruiting battles, but singled out one player in particular as a prospect they’re very high on who came with much less fanfare. “There are guys like Jack Kiser who has just been phenomenal in his short time here who was a small school guy from the state of Indiana that probably not a whole lot of people knew about,” Polian said of the early enrollee linebacker. That’s the same school that produced former Irish stars Aaron Taylor and Derek Landri. “Those are two really good names that have come here and had a lot of success,” said Polian. Polian added that Foskey comes from a “great family” and reiterated how he was a great fit for Notre Dame. The coach went deeper on what the Irish look for in terms of fit. Not surprisingly, a desire to succeed academically was at the top of his list. “Not every player we recruit is a 4.0, we understand that,” he said. “But there have been a lot of young men in our program who will graduate here with a 2.8. They worked their tails, but academics were important in their lives. He also mentioned the fact that Notre Dame is a faith-based institution, but Polian didn’t focus on religion. “With that comes some standards and expectations and we make sure that everybody is aware of that,” he said. “This is a different campus culture. And then he mentioned the “unique stage” Notre Dame offers.